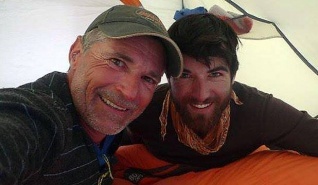 DSM Agency News | Doris S. Michaels Literary Agency, Inc.
DSM Agency is mourning the tragic loss of world-class climber Marty Schmidt and his son Denali Schmidt (Doris’s beloved brother and nephew) in an avalanche on the mountain K2. Our hearts go out to their family, friends, and loved ones. We wish them much love and strength during this difficult time. There have been and will be a number of memorial gatherings including the one described below on August 11th in Bear Valley and the one in the home town of Doris in California in October and the one later this year in New Zealand.